Extra Thick / 1.2kg lbs. Thunderbird Mexican Blankets are a stylized version of our solid Mexican yoga blankets. The bright thunderbirds will add a splash of color to any studio. The tightly woven blankets are great for savasana at the end of yoga class or even for a picnic on the beach! Try them as a pillow during meditation or roll it up and use it as a bolster for chest openers. Handcrafted in Mexico, these bright and colourful Thunderbird Mexican Yoga Blankets will add colour, style, warmth and comfort to your yoga classrooms. Our blankets are machine washable for easy care. 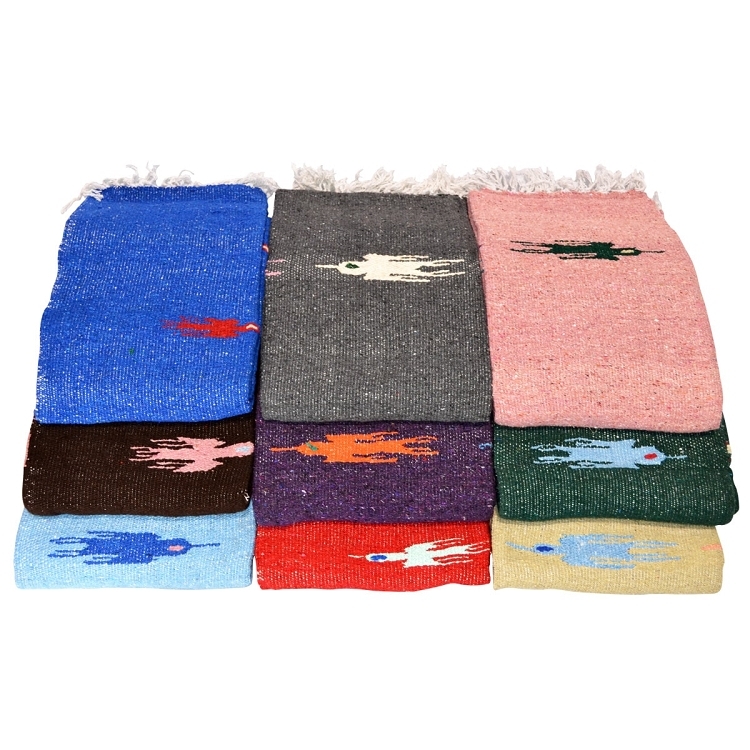 Available in a variety colours to suit any studio's colour scheme, these blankets are a subtle alternative to our regular Mexican Yoga Blankets, featuring a single vibrant colour and a beautiful woven Thunderbird pattern on each blanket.